Local businesses – big, small and every size in between – benefit from Valpak of Palm Beach County’s shared concept of direct mail marketing. With it, the sheer amount of companies advertising in our envelopes drives down the cost for everyone involved. And we’ll do more than just mail your ads to your selected neighborhoods. We’ll also help you design your print piece and mail it in the format of your choice, from single-panel coupons to multipanel flyers. Our team here at Valpak of Palm Beach County is Google Ads certified, which means you can rely on us to optimize your business’ webpages with keywords and other search engine strategies to lift your web content higher in search results. Boost or build out your company’s online presence with our digital marketing solutions, including website design and a business profile page on valpak.com. 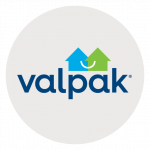 Valpak works for businesses in many sectors: automotive, restaurants, boutiques, entertainment, travel, beauty, wellness, professional services and more. And we can prove it. Our state-of-the-art performance tracking dashboard shows you how your advertising spend is doing at any given time. This gives you a level of control usually only available to much larger businesses. Laser-target your perfect audience in cities like Wellington, West Palm Beach, Palm Beach Gardens, Royal Palm Beach, North Palm Beach, Jupiter and Lake Worth with Valpak of Palm Beach County. For specific dates and coverage, contact your Valpak of Palm Beach County representative.